It’s ‪#‎STLvsSEA‬. One of us will break it down for you and tell you who will win & why. The other — a bourgeois lady of leisure — cannot be bothered. Read it in The Hit Job. The Hit Job editors Julian Rogers and Jessica Ridpath preview the week one matchup between the Seattle Seahawks and the St. Louis Rams. Read it on The Hit Job. Also published in Oregon Sports News and the Seattle PI. Do you get tired of hearing it? 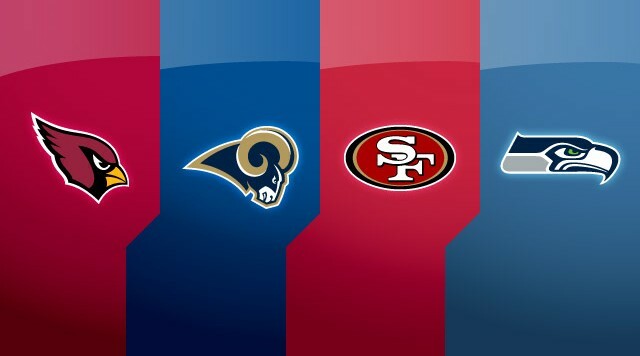 “The NFC West is the NFL’s toughest division.” It’s said so often it’s accepted as common knowledge among casual fans and learned observers alike. Now that the 2014 regular season is upon us, let’s sing it again. This time with feeling. 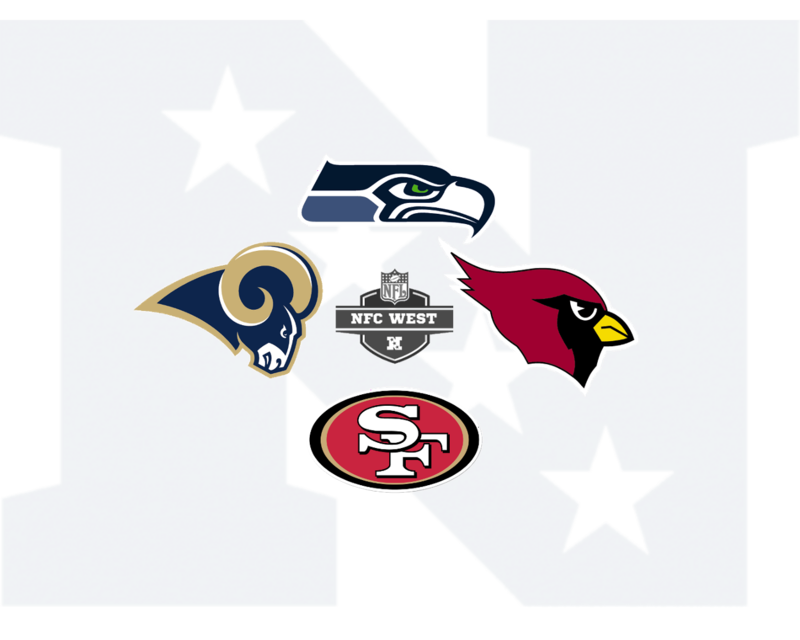 The NFC West boasts three bona fide playoff contenders. Like last season, it will be a crime if all three do not make it into the postseason derby. Read my latest article, published in Oregon Sports News, and the Seattle PI. Seattle Seahawks’ Percy Harvin — will he or won’t he? The Seahawks have waited a long time to get their shiny new offseason toy on the field. Percy Harvin has waited even longer. Should he come back in time for Monday night’s game against the St. Louis Rams? Well, that happened. It was Christmas in August for the Arizona Cardinals as the Green Bay Packers defense became the gift that keeps on giving and the Packers offense acted as if allergic to the end zone. The Packers, for all their tough talk about wanting to take out their aggressions on an opponent, forgot all their nasty intentions as soon as they stepped between the white lines. The Packers failed to show up in any phase of last night’s preseason contest against the Cardinals, losing 17 – 0 before a packed Lambeau Field crowd. Packers statistic of the night: eight. Any time you end a game with eight consecutive punts, you’re making quite a statement for futility. To be fair, punting was the symptom, not the disease. Offensively, the four Packers quarterbacks that took the field failed to generate much in the way of yards. Aaron Rodgers managed a respectable 62 yards on 3-of-5 passing in his only possession, but failed to score when Green Bay’s drive stalled at the 1. The Packers turned the ball over on downs. The Packers backups then took quarterbacking futility to a new low. With extended playing time, current No. 2 Graham Harrell turned in an error-prone performance that included an interception, a lost fumble/sack, hesitation in his throws and off-target passing. In short, he squandered his opportunity to separate himself from second-year quarterback B.J. Coleman and new veteran import Vince Young. Coleman, in his first appearance since his poor showing in last Saturday’s Family Night scrimmage, did little to enhance his standing. He produced only 15 yards on two completions out of seven attempts as the fourth quarterback in. Vince Young’s Packers debut went about as you would expect for a player that had his first practice with the team on Tuesday. In his limited package of offensive plays, Young completed one pass for seven yards and scrambled twice for 12 yards. He brings the mobility and willingness to run — enhanced, no doubt, by his lack of comfort with the offense — that Harrell and Coleman lack. On the day after the game, the Packers backup quarterback situation looks like a mess. The arrival of Young, thought to be a catalyst to raise the performance of the backups via increased competition, had little visible impact in this area. It’s too early to panic, but right now, the Packers cannot feel good about their backup quarterback situation. The opportunity remains for any of the three to step up and take the job. On defense, the biggest story of the night may be the ankle injury to first-round draft pick Datone Jones. The defensive end exited the game after one play with an undisclosed ankle injury that Clay Matthews alluded to during an in-game interview. “Datone Jones has an ankle sprain. Like a lot of those injuries, I think tomorrow (Saturday) will be a better indicator,” McCarthy said after the game to ESPN Wisconsin. The Packers’ secondary turned in an abysmal showing, allowing receivers free releases and wide-open targets on passes from all four Cardinals quarterbacks. The Cardinals top three quarterbacks posted ratings of 149.3 (Carson Palmer), 105.4 (Drew Stanton) and 104.2 (Ryan Lindley). Those types of ratings are hard to accomplish if you’re just playing against air. The Packers offered little resistance against any element of the Cardinals’ passing attack. The Packers travel to St. Louis next week for a preseason match up against the Rams. It will be interesting to see how the team bounces back from last night’s debacle. The only way to go is up. Julian Rogers is a freelance writer and communications consultant. Follow him on Twitter (@mrturophile), or connect with him on Facebook and Google+.